With Wakanda getting more involved in the affairs of the world after the events of Black Panther, one has to imagine major sports events are on the agenda, right after sharing advanced technology and helping the planet survive alien cataclysms. Which means it’s probably time they put together some football teams. Artist Mark Yesilevskiy, an illustrator and graphic designer based in Buffalo, has some uniform suggestions. 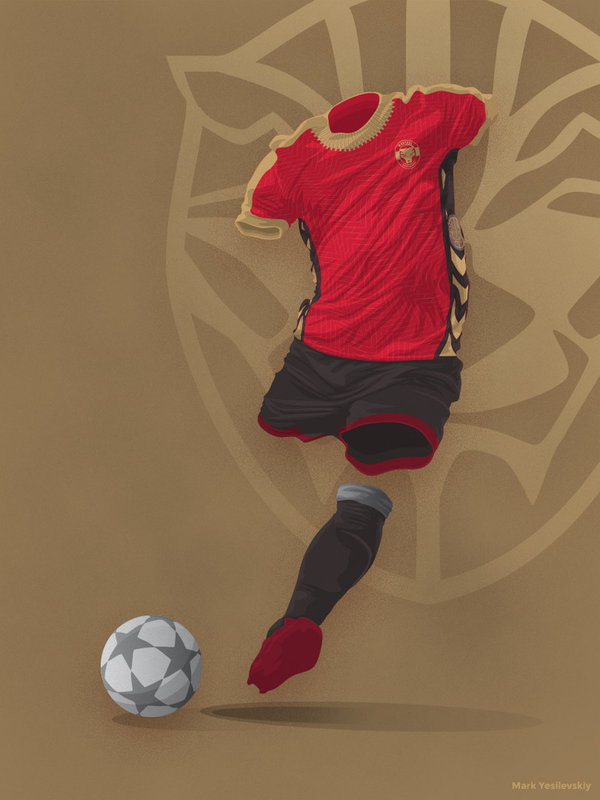 Yesterday he shared a winning design for an away outfit (which are called kits, apparently? I don’t really understand football.) based on the Dora Millaje. The team, naturally, is called the Black Panthers. Wakanda’s away outfit, just in time for the World Cup. This art goes perfectly with Wakanda’s Home uniform, which Yesilevskiy shared last month. 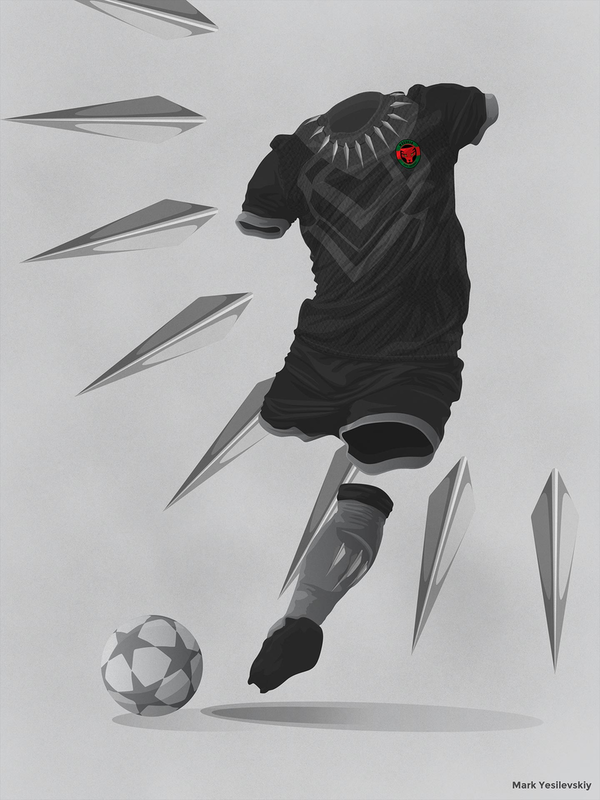 Both pieces are really sharp design, adapting Wakandan visual motifs into the familiar language of football kits. There doesn’t appear to be any use for Wakanda’s iconic Vibranium in the outfits, but surely Shuri can think of something.